So extensive have been the debates and deliberations on the Goods and Services Tax (hereafter referred to as ‘GST’) that yet another disquisition should perhaps begin with some degree of apology. In this occasion however, apology and opinion converges. This disquisition shall henceforth defend the idea that GST is an assault against the core of ‘cooperative federalism’, a prominent but under-theorized concept, which resurfaced in the Indian constitutional discourse after the Prime Minister had invoked it as “the key to the future”. Cooperative federalism is a “cherished constitutional goal.” Therefore, conceding to the sanctity of this institution and the need to observe brevity in this essay, it would be wise to begin with the suspicion that cooperative federalism is not, as the term might otherwise suggest, simply about the tiers of the government cooperating with one another (which is, parenthetically, an ethical requirement in all forms of governance). It is a federal structure which solidifies unitary ideas whilst also countenancing the states to operate independently within some limited contours. It thus, “involves the sharing of authority between federal and state agencies, often leaving state agencies with discretion to implement broad federal policy goals…” The true spirit of cooperative federalism can be gauged from Cyr’s parameters – (i) Autonomy (ii) Subsidiarity and (iii) Solidarity – subsequently examined in the context of GST. The autonomy of a political unit is determined by the extent of control over its laws. It exists when one government is free from the controls of a higher tier of government. Thus, in a model of cooperative federalism, the states must be fairly autonomous in their spheres i.e. the states must be empowered to legislate on the subjects assigned to them. This is the ‘positive function’ of autonomy. Autonomy also performs a negative function – it excludes the centre from intruding into the states’ sphere of legislative competence and vice versa. The Constitution of India, before the 101st Amendment was passed, provided for a complete dichotomy in taxation-powers of the centre and states, thereby performing both the positive and negative function of autonomy. Tax-based entries found a place only in List I (Union List) and List II (State List) of the Seventh Schedule. Therefore, traditionally, taxes levied by a state cannot be levied by the centre and vice versa. However, with the insertion of Article 246-A, the centre and states are concurrently authorised to levy GST. States have now lost the freedom to choose their tax-rates. A choice to change the tax-rate would mean approaching the GST Council, thereby surrendering to the sanction of a special majority of weighted votes. Consequently, the states’ freedom of economic and developmental pursuits has also been curtailed to a great extent. This is a grave sacrifice at the altar of autonomy. The second parameter – subsidiarity – has to be understood in terms of ‘proximity’ and ‘effectiveness’. Proximity indicates nearness to the subject of legislation, implying that local matters must be dealt with locally. Effectiveness means the ability of a government to do what it is meant to. The principle of subsidiarity denotes that a state must deal with its matters, but, if not effectively done, the centre must intervene. Thus, subsidiarity endorses pluralism and provides the states’ the means to meet their ends whilst also offering the centre’s assistance as a last resort. The Indian constitution is replete with provisions intended to make this principle manifest. However, the implementation of GST has distorted this principle. While “efficient taxation” is a stated reason for the introduction of GST, no statement has been made on what was inefficient in the earlier scheme of state taxation. This, coupled with the fact that GST is believed to be fundamentally flawed in several aspects, indicates utter disregard to the ‘proximity’ element in the principle of subsidiarity. It appears that the centre is intervening in areas quite uncalled for. With regards to solidarity, one must mean political solidarity, which comes from a sense of belonging to a common body politic. It is a political value which refers “to the concept of membership in a moral community or the collective, intersubjective bonds that hold autonomous moral agents together.” ‘Autonomous moral agents’ would require complementary self-regulating actors who would think of themselves as being comprised in a common body politic. Therefore, the principle of solidarity, in the context of cooperative federalism, would effectively involve self-governing states playing the role of ‘autonomous moral agents’ and identifying themselves as members of the common political project. Solidarity, then, is not to be equated with ‘unity’ or ‘uniformity’, which is what the Prime Minister categorically wishes to achieve with GST, and quite successfully so – the dual character of GST empowers the centre and states to levy the tax on the same tax-base. Subsuming as many as thirty-four state taxes, GST prescribes the same tax-rate for the centre and all the states, payable through the same procedures. It thus appropriates the taxation capacity of the states, thereby making them passive actors of the play. By compelling states to yield their powers of taxation in favour of the centre, GST not only violates the doctrine of full faith and credit which operates on, inter alia, the legislative enactments over which the states have jurisdiction, but also, belittles the states’ roles in the common body politic. The goal of “one nation, one tax” thus undermines the solidarity principle. Herein rests the case against GST. GST, which has been hailed as “a classic example of cooperative federalism” (for mere reasons like allowing the tiers of the government to share a common platform i.e. the GST Council, prescribing similar and simpler procedures of tax-payment for these tiers, launching a common national market etcetera) does not, paradoxically, stand positive on any of the parameters used for qualifying a federal model as one of cooperative federalism. Closing on a political note, perhaps it is time we relooked at the Prime Minister’s usage of his “key to the future”. B. Chandrashekhar, Cooperative federalism key to progress, says Narendra Modi, THE HINDU (Aug. 8, 2016, 06:02 IST) http://www.thehindu.com/todays-paper/Cooperative-federalism-key-to-progress-says-Narendra-Modi/article14557879.ece. Swaraj Abhiyan v.Union of India, A.I.R. 2017 S.C. 3516 (India). Philip J. Weiser, Cooperative Federalism and Its Challenges, 2003 MICT. ST. DCL. L. REV. 727, 729 (2003). Hugo Cyr, Autonomy, Subsidiarity, Solidarity: Foundations of Cooperative Federalism, 23 CONST. F. 20. (2014). See INDIA CONST. art. 246 (giving exclusive autonomy to the states and the centre to legislate on subjects assigned to them through the Lists of Seventh Schedule). INDIA CONST. art. 279-A, cl. 9 (implying that constituting a majority in the GST Council would require the centre and at least 20 states). CYR, supra note 4, at 26. See e.g., INDIA CONST, art. 249 (expanding the centre’s powers in national interest) and art. 353 (expanding the centre’s powers during Proclamation of Emergency) and art. 356 cl.1 (expanding the centre’s powers during state emergency). Vishal Raheja, What is GST?, TAXMANN (Jul. 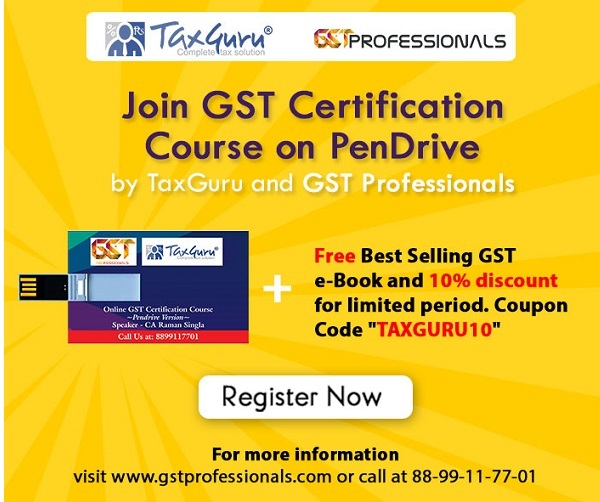 12, 2017) https://www.taxmann.com/blogpost/2000000048/what-is-gst-goods-and-services-tax-explained-with-benefits.aspx. Jadhav Bhika and T.A. Rajput, Challenges and problems of GST in India, 4 IJMRD. 5, 8 (2017). See also Bharat Goenka, A fundamental flaw in GST, THE BUSINESS LINE (Aug. 2, 2016) http://www.thehindubusinessline.com/opinion/a-fundamental-flaw-in-gst/article8933956.ece. MAX PENSKY, THE ENDS OF SOLIDARITY: DISCOURSE THEORY IN ETHICS AND POLITICS 1-20 (1 ed. 2008). ANI, PM Modi credits team India, says GST is ‘great step towards transformation, THE BUSINESS STANDARD (Aug. 8, 2017) http://www.business-standard.com/article/news-ani/pm-modi-credits-team-india-says-gst-is-great-step-towards-transformation-116080801499_1.html. Government of India, GST Concept and Status, GOODS AND SERVICES TAX COUNCIL (Sept.1, 2017) http://www.gstcouncil.gov.in/gst-concept-status-01092017. INDIA CONST. art. 261, cl.1, 2 (collectively called the ‘doctrine of full faith and credit). Gauri Lal Gurdev Das v. Jugal Kishore Sharma, A.I.R. 1959 P.H. 265 (India). S.N.V. Sudhir, GST example for cooperative federalism: Nirmala Sitaraman, THE TIMES OF INDIA (Jul. 8, 2017, 16:47 IST) https://timesofindia.indiatimes.com/business/india-business/gst-example-for-cooperative-federalism-nirmala-sitaraman/articleshow/59503260.cms. VERY WELL WRITTEN AND RESEARCHED ARTICLE. I HOPE YOU WILL CONTINUE WITH SUCH.